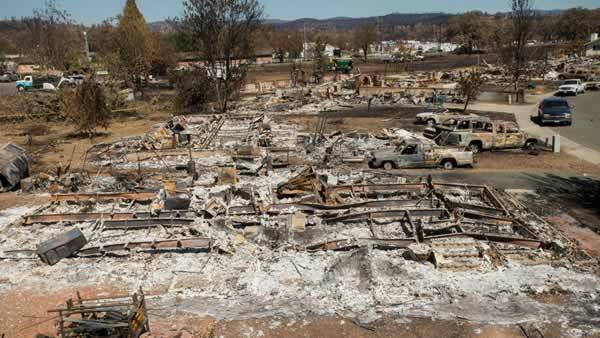 MIDDLETOWN, Calif. (KGO) -- Firefighters in Lake County continue to make progress against the 76,067-acre Valley Fire. Cal Fire says it is now 90 percent contained. Mandatory evacuations remain in effect for Cobb. All traffic restrictions denying access into the community of Cobb and the surrounding areas will be lifted tomorrow, Saturday, September 26, at 5:00 pm. At least one person is still missing, 61-year-old Robert Litchman. Schools in Middletown are set to reopen Monday for the first time since the fire began. A NASA satellite captured amazing images, with dark red and orange areas indicating the burn scar left behind by the Valley Fire. 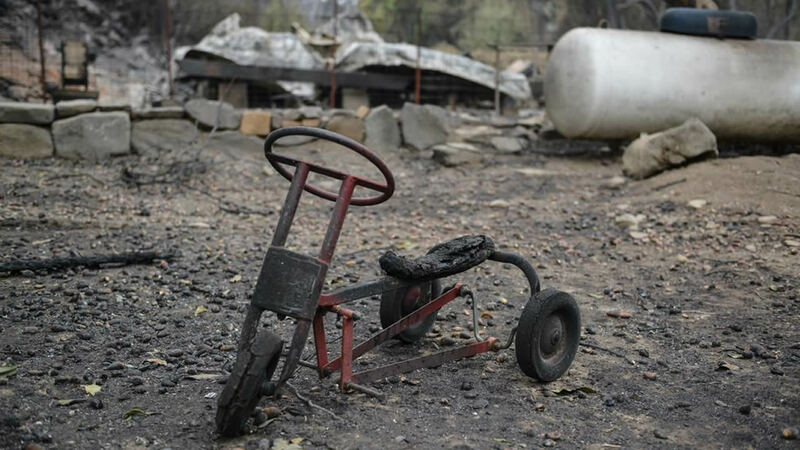 These photos were taken to capture the magnitude of the wildfire, now deemed the third worst in state history. Scientists say the most pronounced scars appear around Middletown, Harbin Hot Springs and Cobb.